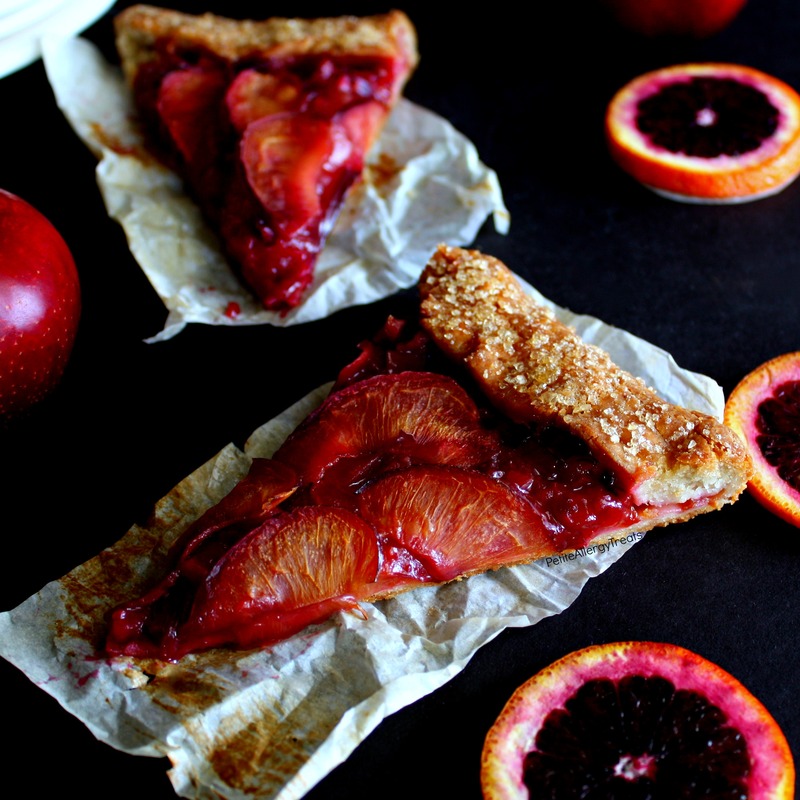 Rustic and beautiful Gluten Free Blood Orange Plum Galette (pie) is an easy no fail dessert! Pies are just one of those comfort foods. No matter what it’s filled with, you know it’ll be good. 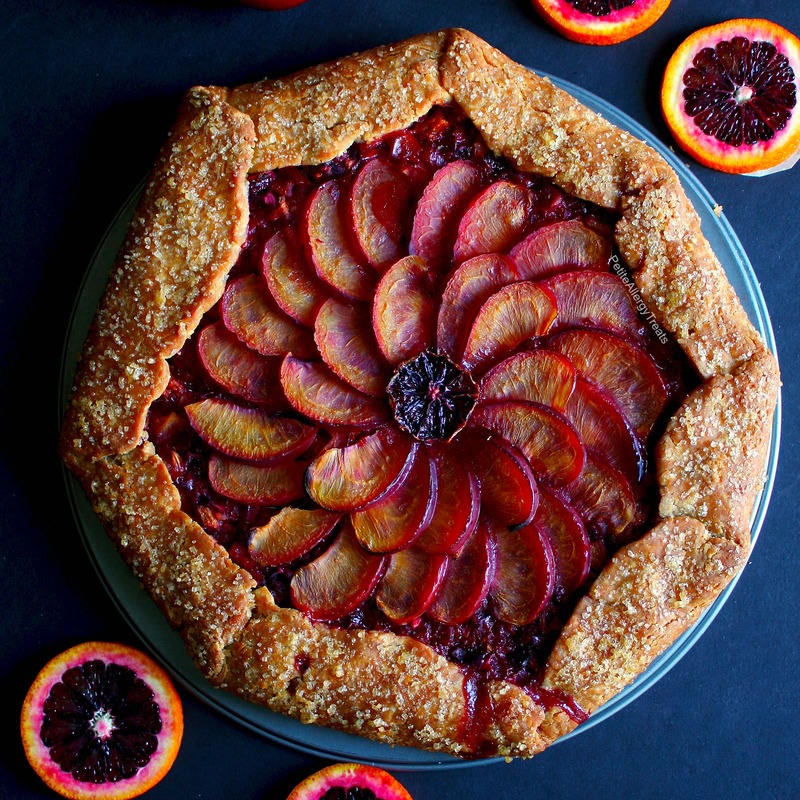 Before we talk more about this gorgeous gluten free blood orange plum galette pie, I need to tell you about an on going war. It’s the birds. Birds. We have so many varieties of birds in our neighborhood. Robins. Cardinals. Hawks. Owls. Annd Black Birds. And what do birds do after they find all the plentiful food in our yard? Over the weekend I noticed foam sponge all over our driveway. Upon inspection, I found the padding on the basketball hoop had a split seam. Upon even closer inspection, I found a black bird with its beak full of sponge inside the padding and emerged right in my face! I’m not sure who was more scared but we were both screaming. Fast forward a few days after the application of black duct tape (cause I’m not hand sewing something that was shat on by birds over and over again). Whenever I came to check my work, the birds would cackle at me. They even took a swoop at my car. Frustration seemed to get the best of them as this morning the birds had to get the last laugh. On the top of the basketball pad was an enormous fresh streak of you-know-what, that dripped down the entire pad on to the driveway. Game on birds. Game ON. So now that I’ve talked about the gross things birds do, how about talking about something not gross but delicious and super easy. Gluten free and rustic are besties for life since the baker won’t be stressed to make it look perfect. 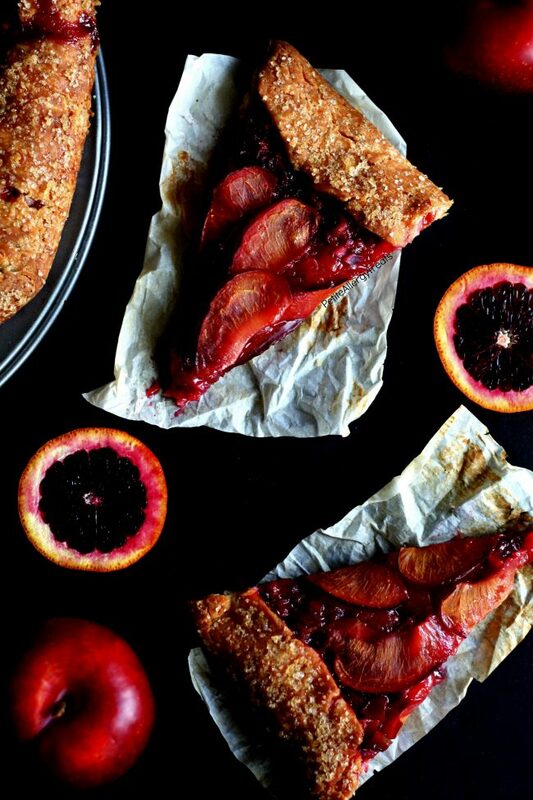 This gluten free Blood Orange Plum Galette will be loved, cracks and imperfections included. Really. 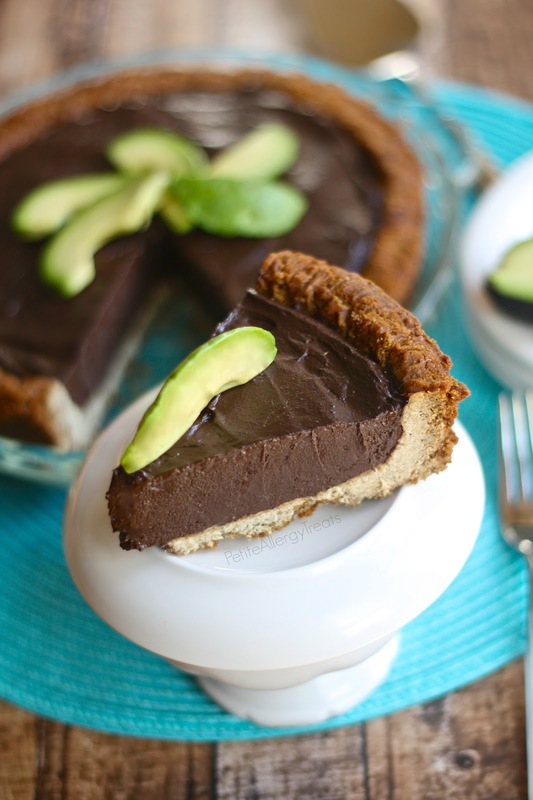 If you’ve even been to afraid to attempt a pie crust, this is the one for you! Feel free to change the filling to whatever fruit you have on hand. I used plums and blood oranges since my kids begged for them while at Costco. They promised they would eat them all… so naturally they ate about 3 of the 15 plums and called it day. In the end, they ended up eating them IN the pie. No complaints either. But who’s gonna complain about eating pie? Add dairy free milk and gently mix until just moistened. 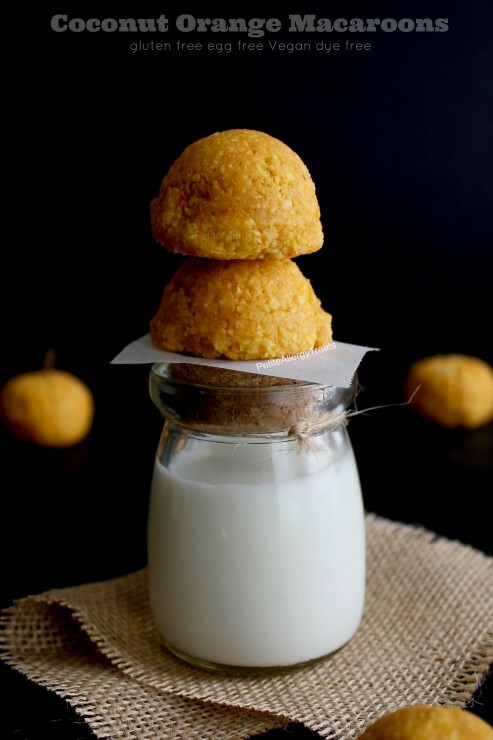 (If mix seem extremely crumbly, add a little extra water or milk) Cover in plastic and chill in refrigerator for 30 minutes. Work on filling. Roll out dough on parchment paper to approximately 11 inches in diameter. We're going for rustic so don't worry if it looks pretty, cracks are acceptable. Add chopped filling evenly in the center leaving 1½ inch crust border. Arrange sliced plums on top, slightly overlapping. Fold crust, overlapping the dough on one side. 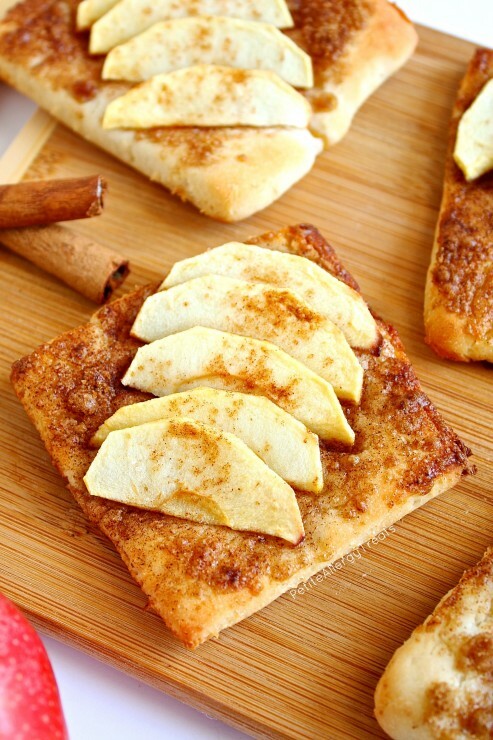 Sprinkle edges with demerara sugar. Peel oranges and pit plums. Thinly slice and reserve approximately 1½ plums for topping. Coarsely dice remaining plums and blood oranges. It is very important to preheat the oven with a pizza stone or extra baking sheet. Without the pans to conduct extra heat, the crust cannot develop a beautiful crunchy bottom. I used my Baking Steel pizza stone. LOVE blood oranges…really my favorite citrus! I could just stare at these beautiful photos all day, Laura! 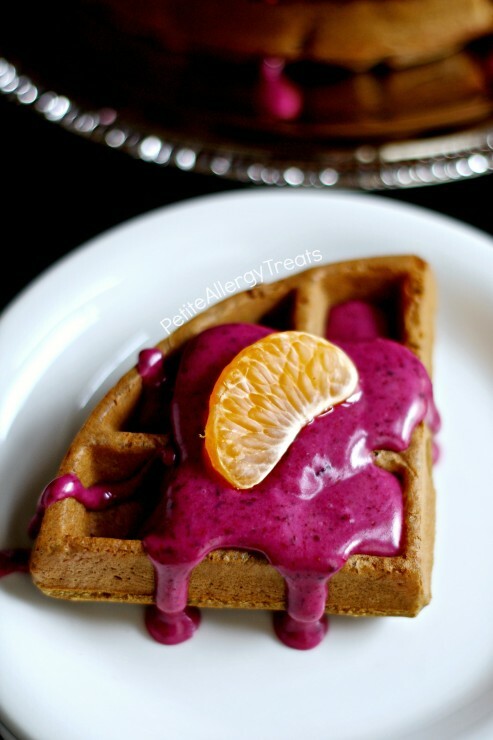 My husband loves blood oranges, I can just imagine how much he would love it if I made this for him! That sounds like a nightmare! I’m happy you found a sort of solution. I hope you still get to see some baby birds. 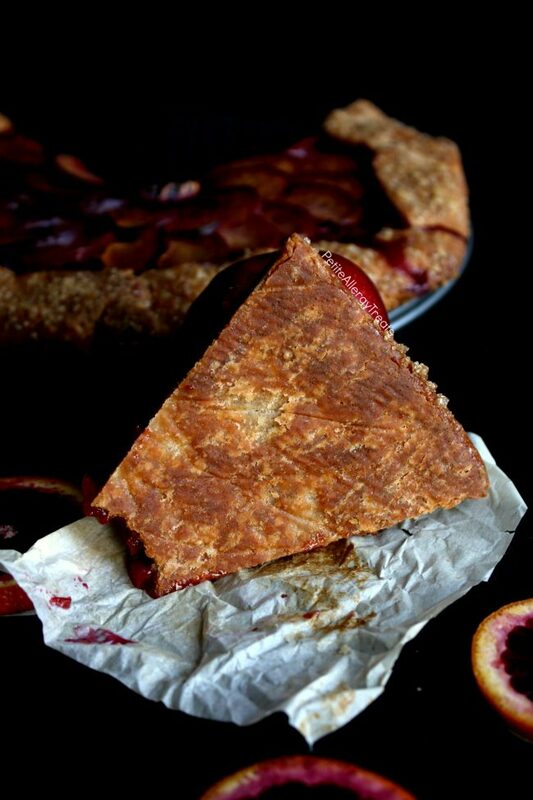 😉 And this galette is absolutely gorgeous! Love that you made it vegan. 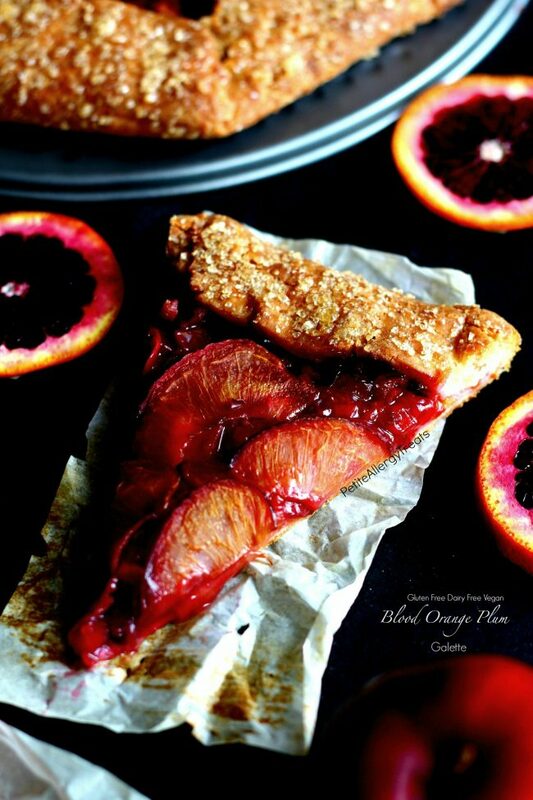 I love the combination of plums and blood oranges! Such a beautiful dessert and I love the fruit combination! 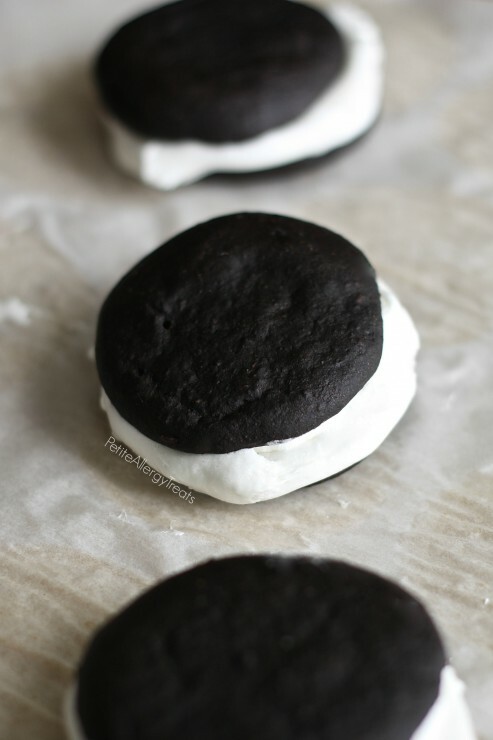 This is happening soon at my house! Well, when I can get blood oranges and plums anyway. It looks amazing! I’m sorry to laugh at your pain, but the bird war had me snorting. It’s amazing how cute little critters can wreak such havoc.